Oh, so sorry to hear. She looks so cute, even though she's sick! Feel better soon. Following back. I love the design of your blog! Oh! Sick babies are the worst! Hope she feels better soon! I am stopping by from the Friday's Letter's Link up! Hope to see you around my blog! I hope Cecily get's feeling better very soon! & that sickness curse you have on your house hurry up and leaves! I agree about Spring though...C'mon already! Kathy Lee and Hoda are a riot! 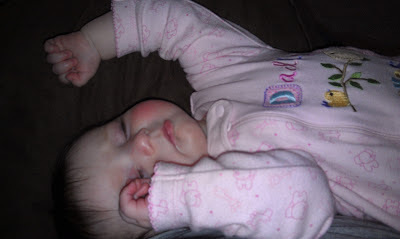 I hope your baby girl feels better so quickly this has been a rough season for cold and flu season. I can't wait for the spring to get here too!